Following the Wraxall washout, Bluebird Express was all dressed up with no place to go, until the phone rang...... 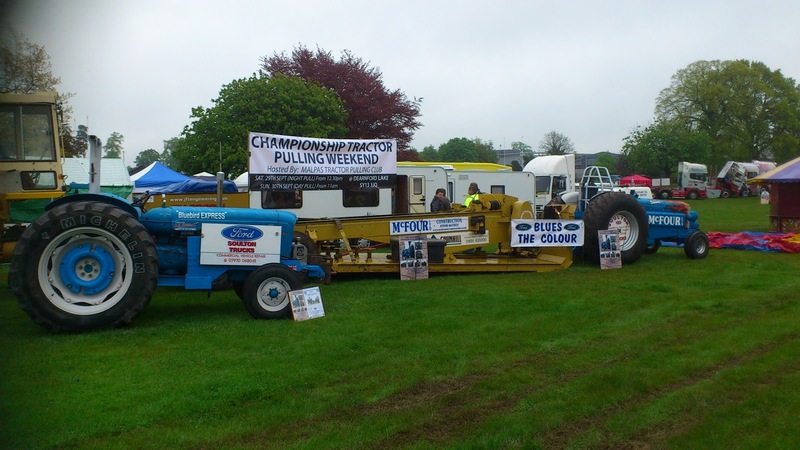 It was Onky Ankers, owner and driver of Skinny, an under 401cui pro-stock tractor puller and friend of ours from both the South West Tractor Pullers Association (SWTPA) and Malpas Tractor Pulling Club (MTPC), where our interest first began. Onky said "Get yer tractor back on the wagon we're off to Oswestry Truck Show for a static display to advertise the Championship Pull at Dearnford Lake held later in the year". "OK mon" we said and hit the road. Bluebird Express Where Do We Go From Here? Bluebird Express In The Beginning.